Acne vulgaris-one of the commonest skin disorders-has a multifactorial pathogenesis and is found mainly among adolescents. The pathogenetic mechanism usually consists of four key factors: increased sebum productions, follicular epidermal hyperproliferation, the colonization of bacteria Propionibacterium acnes (P. acne), and effects of inflammation. Successful management of the disease requires a better understanding of various pathogenetic factors and identifying the etiology of the acne in patients. Recent researches in targeted therapeutic modalities have given rise to a host of treatments that meet the specific expectations of the patients and provide enhanced tolerability as well. New treatment options focus on a permutation and combination of anti-acne agents, which are available in the acne vulgaris market in varied compositions and formulations. A vast assortment of topical and systemic drugs available in the market is set to expand therapeutic options for a greater number of patients depending on the stage and symptoms of the disease. Some of the prominent therapies recommended for treating acne vulgaris are: use of topical retinoid, combination therapy, hormonal therapies, antibiotics, and oral isotretinoin. Benzoyl peroxide and topical retinoids are the most widespread treatments preferred by dermatologists. Available in different formulations such as lotions, washes, gels, and creams, they can target a wide spectrum of bacterial agents in cases of mild-to-moderate acne vulgaris and have significant anti-inflammatory effects. The efficacy of retinoids have already been proven for over three decades. Dermatologists prefer this as the first-line of treatment for mild-to-moderate noninflammatory and inflammatory acne lesions. Globally, the most intensely researched topical retinoids for the treatment of acne vulgaris are adapalene and tretinoin. A host of topical antibiotics formulations are helpful in inhibiting the growth of commensal bacteria P. acne and reducing inflammation. Most common topic antibiotics available are clarithromycin, azithromycin, and nadifloxacin; however, lack of clinical studies restrain their adoption in various emerging markets. Acne vulgaris is a chronic and most widespread disease of the sebaceous follicles of the human skin. This basically affects the pilosebaceous units which are present in the skin of the chest, back, and face. Many patients elect medical treatment and care as they are mostly concerned about their appearance. Nevertheless, several patients opt for acne vulgaris treatment because of painful and scarring nodules. This type of disease basically begins at puberty owing to an increase in the androgen levels that eventually triggers a rise in the production of sebum from the skins’ sebaceous glands. This disease is generally characterized through morphological structures including nodules, comedones, and pustules/papules. The disease is eventually treated in terms of acne, the distribution type, severity, and the therapeutics can thus be targeted on the basis of various pathogenic components present. In order to treat the skin disease properly, combination therapy is employed. 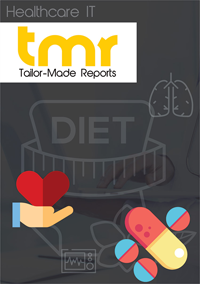 The market intelligence report is a comprehensive review of the growth trail in terms of current, historical, and future scenarios of the global acne vulgaris market. It offers an evaluation of the dynamics that are expected to impact the development of the market and the chief trends have also been specified in the research study. The research study also offers a broad lookout on the competitive landscape of the market through Porter’s five forces analysis. The research publication provides references of mergers and acquisitions, the research and development activities, details on licensing and collaborations. The report probes into the strategies related to marketing, shares, and product portfolio of the key participants operating in the global acne vulgaris market. Main driving aspects for the growth of the acne vulgaris market comprise high occurrence of acne vulgaris, growing incidences of several skin infections, growing demand for innovative therapeutics, and rising awareness and affordability among people worldwide. Acne vulgaris is extremely predominant in many parts of the world. Currently, mounting concerns and awareness among people across the globe over the harmful effects of this kind of skin disease will further aid in the growth of the acne vulgaris market. The recent launch of drugs like Galderma’s Epiduo, which efficiently targets acne vulgaris, has further boosted the progress of the market. Several drugs which are under different phases of clinical trials such as AndroScience’s ASC-J9 and Photocure’s Visonac (a type of phototherapy) which will soon be commercialized in the global market, will further provide lucrative growth opportunities to vendors operating in the market. Nevertheless, numerous pharmaceutical companies are unwilling towards investing in the research and development activities owing to the poor return on investment from this sector. This might prove to be a restraint in the growth of the market. Geographically, North America accounts for the leading share in the global acne vulgaris market closely trailed by Europe. The key dynamics responsible for the growth of acne vulgaris market in North America are the high prevalence of acne vulgaris along with high awareness and affordability of among people for their treatment. Some of the key vendors in the market are AndroScience Corporation, Ausio Pharmaceuticals, LLC, Boehringer Ingelheim GlaxoSmithKline plc, GmbH, Photocure ASA, Galderma S.A., Hygeia Therapeutics, Inc., Quest PharmaTech, Inc., Sol-Gel Technologies Ltd. and Valeant Pharmaceuticals International, Inc.